I have a very special treat for you today and am so honored to be interviewing bestselling author Caroline Leavitt for our Sundays With Writers series. I have been a longtime fan of her work and recently requested a copy of her book LIFELINES on NetGalley to read. It was so interesting to see several all available for one author (a rarity for a reviewer) and was so excited to read that Caroline’s backlist of novels are now being published into ebook format for her devoted readers. 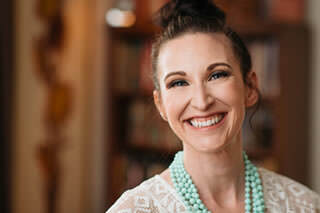 I was not as familiar with how all of that works in the publishing world so I was so excited to interview her and let her tell us about this unique opportunity. Let me begin with her book LIFELINES that I read last week. Honestly, you would have never known that the book was originally published in the ’80’s because the story is timeless as is the beautiful and rich relationship between the mother and daughter in this story. This story is about a woman named Duse, a strong-willed psychic and Isadora, her daughter, who struggles to find her own identity. It begins with Duse’s supernatural gifts which lead her to palm reading and how these lifelines in her own hands help guide her in her decision to find love and begin her family. As Duse is open to her gift her husband and daughter do not believe in it and live their lives differently, often conflicting with Duse’s world and their own self-discovery. What happens though when these three worlds collide and what if there truly are things in the world that cannot be explained. I found this book to be a deeply moving story that illustrates the bonds and difficulties that often arise in mother and daughter relationships. I would recommend this beautiful book for people who enjoy stories with lots of character development, descriptive prose, and a slower build in their books. As with everything I have read by Caroline, I find her storytelling superb and this book was such a treat to read. I had happened to read IS THIS TOMORROW recently too and I can say that from her earlier work to her more recent work, it is solid through and through. Now grab your coffee and let’s chat with the wildly talented Caroline Leavitt today! For those of us that aren’t in the publishing world, explain what it means to have your backlist published? How did this opportunity arise and what is the gain for you, as an author, to see your backlist published? Before there were-e-books, everything was just in paper, which meant that, for most books, after a while, the book goes out of print. If people want to read it, they hit the library (which is great, I love libraries), or used bookstores or private sellers, which often charge ridiculous prices like $2,000 for my novel Meeting Rozzy Halfway! That price tag means I can’t afford to buy up extra copies of my own novel! My agent and I were approached by Dzanc Books who had a new series called REprints (that’s the right spelling, by the way! ), where they were bringing back literary novels in e-book form and would I like to have my book list out? I was so completely thrilled! In fact, Dzanc is now going to publish another one of my backlist, Living Other Lives. That means all my books, except for my third novel, Jealousies, which everyone hated, (I was pushed into writing a “more commercial novel” by my then publisher), will be available! I read your book LIFELINES, one of several titles that are making their way out into the world again and would love to hear what makes this book special to you? Do you feel your writing style has evolved since this was published originally in the ‘80’s? What an interesting question! The book was special to me because it was my second novel. My first, Meeting Rozzy Halfway, had created a sensation and made me a kind of star, and everyone had huge expectations for Lifelines, which got rave reviews—and then the publisher went out of business and the book lost promotion and steam, and well, there you go. The book died. It has particular meaning for me because parts of it were first published in the Michigan Quarterly Review, which was actually my very first publication. They paid me $50! I was so thrilled! I was deeply interested in identity back then, who we are compared to others—(hey, I was really young and insecure). I wrote my first two books in first person, and then I began to branch out! LIFELINES really, at its roots, deals with the bonds between mothers and daughters. In one line you say, “Through it all, Isadora began to think that if you had to be mother and daughter, it was easier at a distance.” The complexities of these relationships are so rich and deep just as they often are in real life. What made you want to explore this relationship and do you think there is any truth to Isadora’s thoughts? Another great question. Well, at the time, I had a tangled relationship with my mother. I loved her (and still love her) very deeply, but she was insistent that I live my life the way she thought I should, and it caused a lot of friction. At the time, I just wasn’t strong enough to say to her, “I love you, but it’s my life and I know what it is going to make me happy.” Isadora wasn’t strong enough to do that—plus, there were parts of her that wondered if she WAS living her life the right way because everything was going badly for her! It became a really useful way for me to explore my own feelings about who I was, who my mother was, and who we could be together. I have read that you always add a spiritual element into each of your books. LIFELINES deals a lot with the things that we can’t always explain like palm reading, the feeling of spirits moving through one’s body, and the power of hypnosis. Do you believe in the power of these things yourself? What type of research did you do to prepare for Duse’s gifts? I am LOVING your questions. I have always been interested in magic, the unknown, etc. I blame my father, who used to give me books about Edgar Cayce, the minister who would go into a trance and be able to tell peoples’ futures and cure their ailments, and no one—including him—knew why. I loved reading about that! I saw possibilities everywhere! My father also gave me these old magazines called Weird Tales, and one of them talked about there being hidden holes in the world and if you stepped in one, you would vanish and go into another world. I looked for those holes everywhere! But I also started reading a lot of quantum physics for the layperson and the thing that struck me is the pieces always talked about how the universe is really more strange and weird than anything we can imagine. There can be parallel universes where you might be living out another live. Maybe we are part of a giant computer (they’ve recently found pixels in space!). So I do believe that anything and everything is possible—and that anything and everything has a scientific explanation we just don’t know yet. Many physicists say that there is no time, really, that is all a loop with everything happening at the same time. Wouldn’t that explain how a psychic might know your future? I didn’t really do research back then. (I know, crazy, right?) Instead, I used what I knew and the experiences I had had with psychics I had gone to. As an author of nine bestselling novels, I am sure it might be difficult to answer this, but what is one novel of yours that you wish everyone would read? What makes that book particularly endearing to you? Yikes, this is like asking a mom who her favorite child is. Each novel was extremely important to me at the time. I guess I would urge people to read Is This Tomorrow because that is my most recent and the most me. You are not only an author, but also a critic of books for People, The Boston Globe and The San Francisco Chronicle. I wrote my first book and had such a hard time reading the feedback from it and have found that I prefer doing interviews with authors rather than reviews of books because I am now aware as an author of what it feels like to be on the other side of criticism. Since you receive criticism for your own work, do you find it difficult to critique others especially when so many authors are colleagues or personal friends? Do you publish feedback if you find you really hate a book? What a great question. Before I became a critic, my reviews used to decimate me. If they were bad, I would hole up and cry for weeks. If they were good, I was skeptical and wondered if the reviewer was just being kind to me because he or she felt sorry for me. My husband Jeff is a music critic and he used to talk to me for hours about how this is just one person’s opinion, and you have to weight the criticism, maybe learn from it and in any case, let it go. Becoming a critic was the best thing I ever did for myself because it made me realize how true that is. There have been books championed by every other critic on the planet that I just hated. And there have been many, many books I have loved that no one else even bothered to review, or if they did review, they tore the book to pieces. It made me review and consider books more carefully. No one sets out to write a bad book, yet many reviews read as if that is truly the case. I think there is a right way to critique, to gently point out things that may not be working and to explore why in the context of what you believe the author was intending to do. It’s considered deeply unethical to review a book by someone you know, even casually. You are not supposed to review a book if you share the same publisher or editor or agent. Many papers I have worked for, including the NYT, make you sign a contract stipulating that you do not know the author. I’m very careful with that. Part of why I started my blog was so I could be above board about interviewing writers I knew and giving them some press for their books! I also work privately with writers on their manuscripts because I love looking at books and figuring out what works and why, and what doesn’t work and how a writer could think about fixing that issue. It’s an intensive process—but it’s always done with great care and concern for the artist, because I know how hard a process writing anything is. And that process deserves the utmost respect. The difference between this and reviewing is that here, I can point out ways for the book to succeed on a higher level. A review is just a review. That said, I don’t review books I hate. I don’t want to tear apart another writer. There’s so little review space available now, that I want to promote the books I love, instead. I also read your book IS THIS TOMORROW and absolutely loved it. I’m a big fan of period pieces especially the 1950’s era and you weave a beautiful story about what it would be like as a single mother in this era and the scrutiny of those around her and the heartache of what it would be like for your child to suddenly be missing. I just felt like this one must be made into film. Are there any plans to see this one being made into a screenplay? Please say yes. Oh, thank you! Thank you! I have had my heart broken and smashed by the movie biz many times. My first novel, Meeting Rozzy Halfway, was supposed to be a film with Paramount and then there was a writers/directors strike. My novel Into Thin Air was considered as Madonna’s directorial debut for three days before she went on tour. It was later picked up by another producer, but nothing ever happened. Pictures of You was optioned and nothing ever happened. Living Other Lives was optioned by the guy who made some Stephen King films and it had a script written by an Obie winning writer. It was about to go into principal photography and then everything stopped. I never heard back from anyone, until months later, when the producer resurfaced in Nashville, but the project was inexplicably dead. Is This Tomorrow actually has a script! I submitted the first scene (I wrote it) to Sundance Screenwriting Lab, and was a finalist! They take only 6 people, but I didn’t make the cut. There’s a producer interested who is looking at financing, and he’s told me to be patient—so I’m used to all of this. Having a movie made of your book is the brass ring, but the chances of it actually happening are so slim. Still, a girl can hope, right? I’m just about to turn in Cruel Beautiful World, which was sold on the basis of a first chapter and a thirty page synopsis, and of course I’m terrified. It’s set in the 60s and early 70s, the time when all the free love movement was starting to turn ugly, with the Manson murders and Altamont. It’s about a 16 –year-old girl who runs off with her 30 year-old hippy teacher to join the “back to the land” movement that began in the 70s, a so-called-paradise that turns into a nightmare for her. Thank you for these magnificent questions! You can connect with Caroline Leavitt on GoodReads or on her website! I’m always thankful for these moments with writers and I hope you will pick up this amazing book! You can always connect with me on GoodReads,through our books section of our site, and you can read our entire Sundays With Writers series for more author profiles. Happy reading, friends!